Strategic partnership aimed at agriculture with shared products. 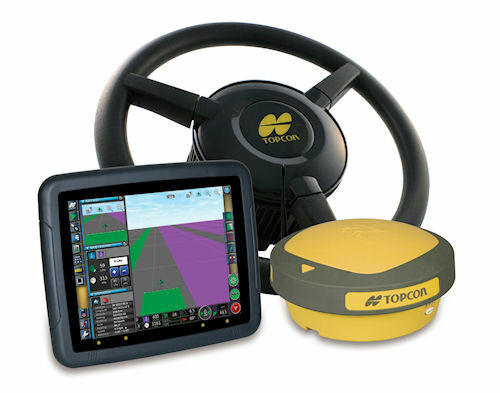 Topcon Positioning Systems and DICKEY-john Corp, which designs and manufactures sensors, monitors and control systems have joined forces to provide products to the agricultural industry. Topcon recently unveiled its System 350 machine control system which uses the new X30 control console and its AGI-3 receiver for autosteering functionality. DICKEY-john will be adding the X30 virtual terminal as a "next-generation" console to their current product line. • Autosteering using the Topcon AGI-3 receiver. • ISO virtual terminal compatibility. Topcon's autosteering system, receiver and X30 virtual terminal are being added to DICKEY-john's worldwide product line in a cooperative venture between the two firm. • Manual guidance via lightbar system. • Coverage mapping, as-applied maps. • Import of XML prescription maps. • Choice of 24 languages.